APLD S.E.E. 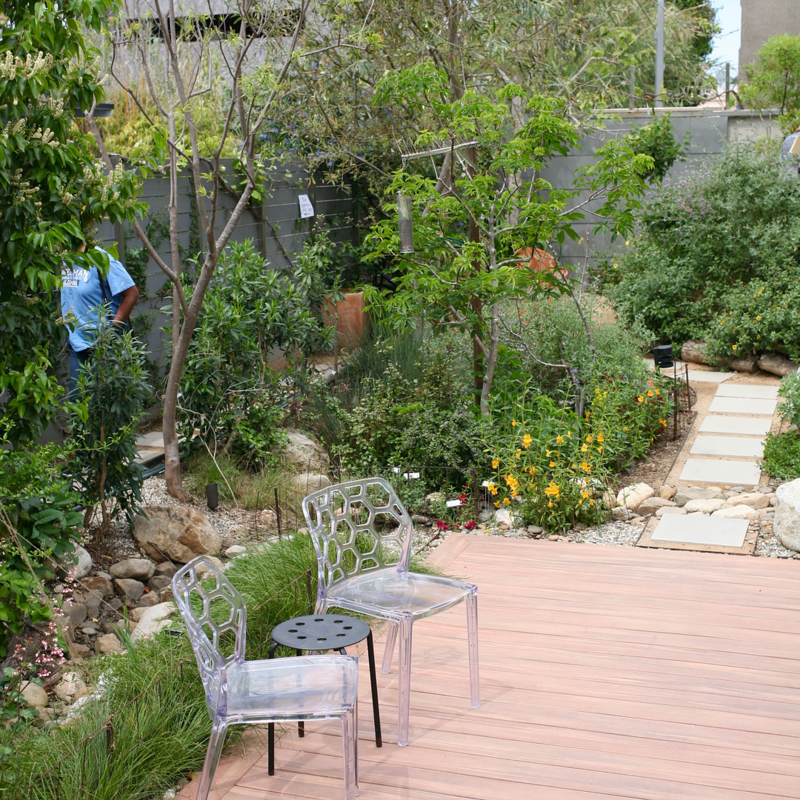 garden tour Saturday, April 13, 2019, 9-4 p.m.
One’s own garden is never enough. One’s friends’ gardens are never enough. Seeing lots of other gardens is essential sustenance for this peculiar obsession, and the opportunities don’t arise often enough. The spatial possibilities we’ve overlooked, the exposure to previously unknown plants and practices (and plant people!) 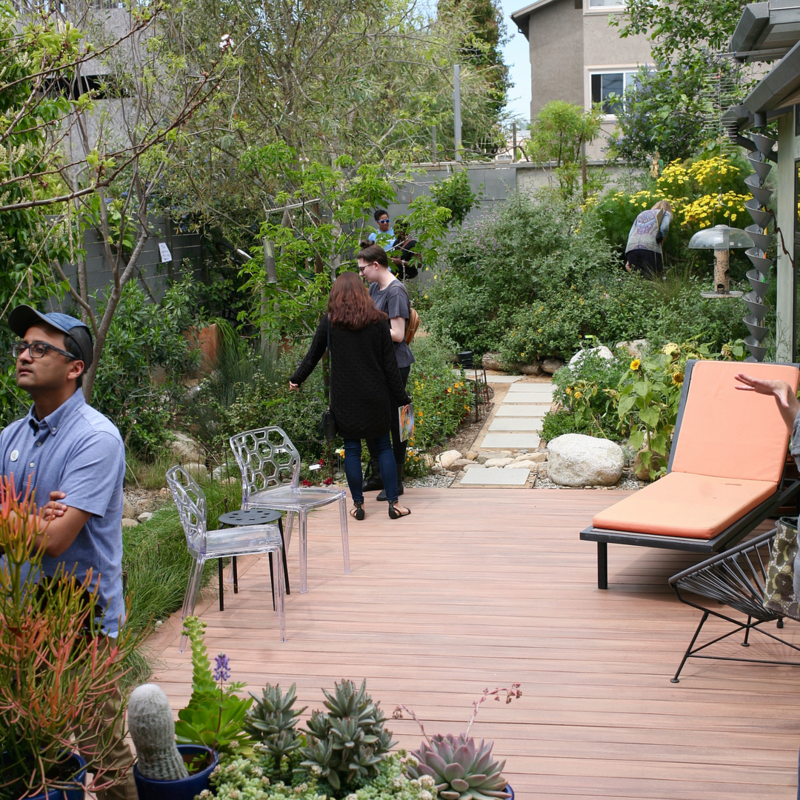 — to confront lurking design prejudices and blindnesses that have stealthily accumulated, to shake off the sloth of winter, to renew vows to do better, dig deeper, for all these reasons and more, take a garden tour. 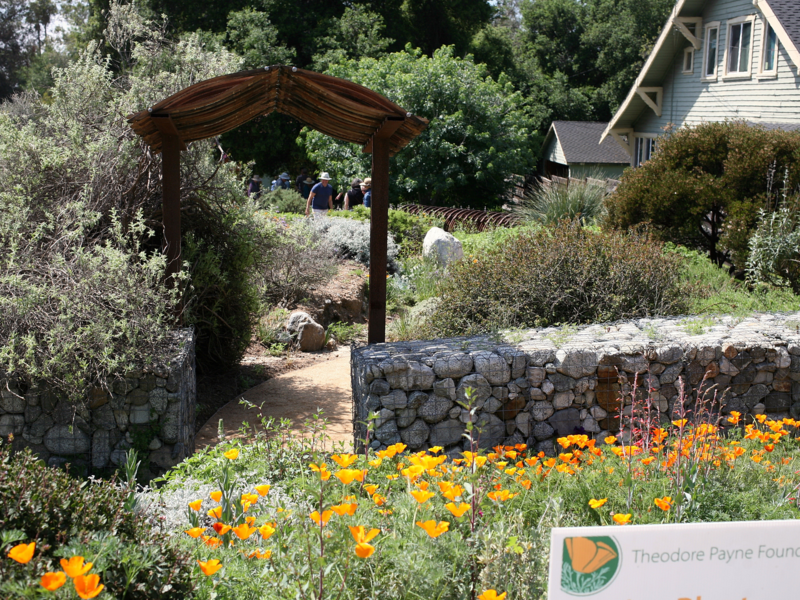 These are scenes from last weekend’s 16th Annual Theodore Payne Native Plant Garden Tour. 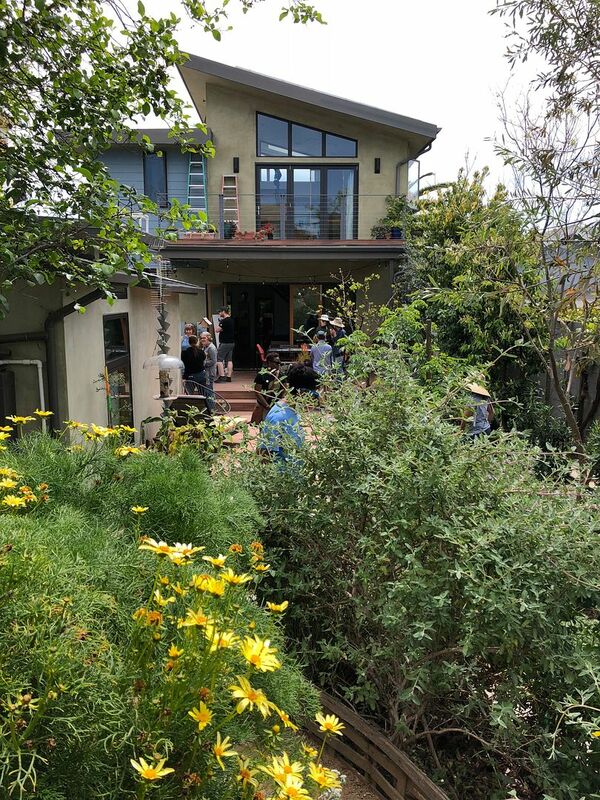 Saturday the tour visited gardens in foothill communities like Pasadena, Altadena, and Sunday the gardens were located on the Westside. 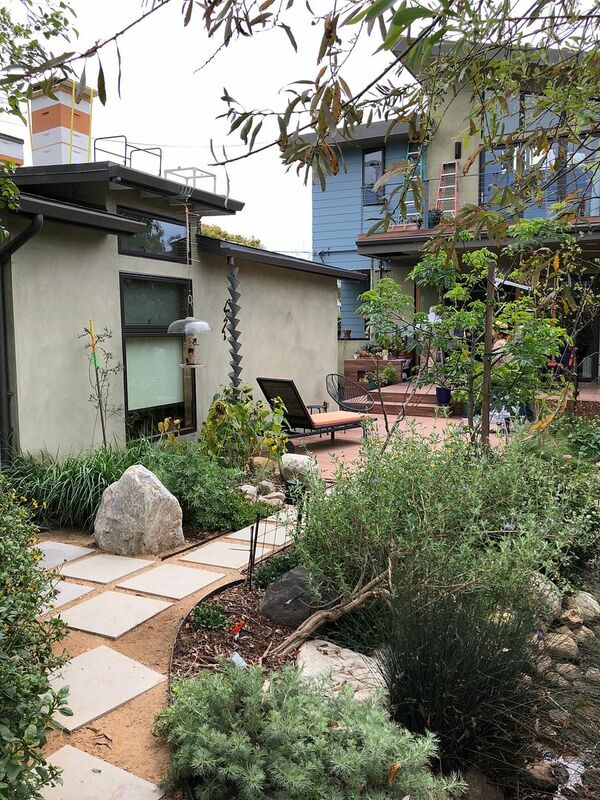 And while on the subject of prejudices, perhaps you’ve assumed a garden tour built around the use of California native plants and water-wise practices might be on the quiet, homespun side. 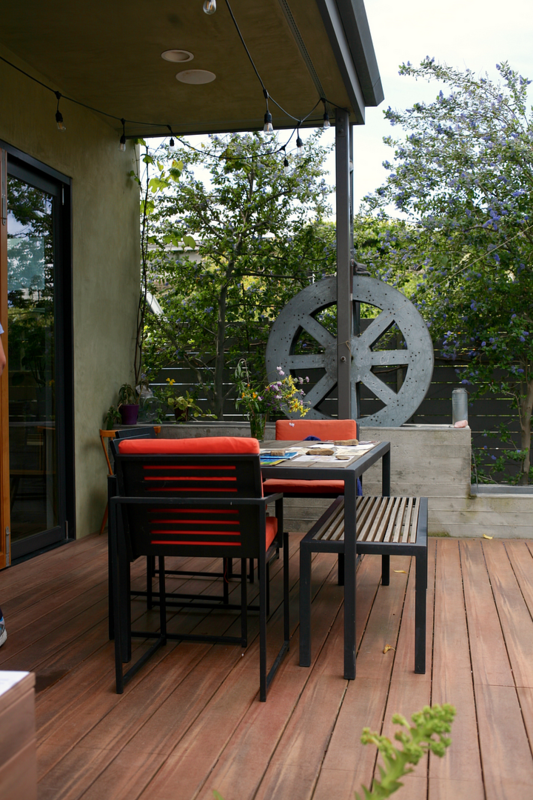 Perhaps you would be surprised to find that these are rambunctious, contemporary, stylish urban gardens overflowing with cutting edge ideas and experimentation. Fence behind the water wheel is espaliered with ceanothus. 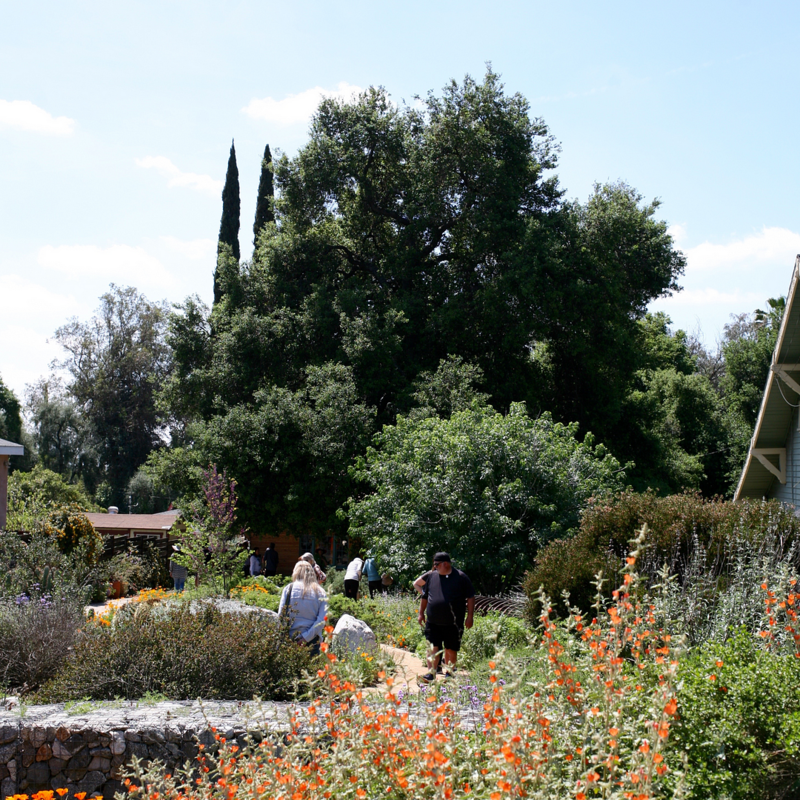 On the tour you’ll find gardens large and small that encompass a myriad of activities, including beekeeping on the roof. The winter rains have unleashed an amazingly fecund spring show. The intoxicating scent of our native sages, Los Angeles’ heady spring perfume, clings to the warming air. I’m thrilled that garden tour season is upon us once again. For those with crowded windowsills, starved for their own gardens, these tours are an absolute feast of ideas to file away for the future. Kudos to all the owners and volunteers who make these garden tours possible. Check Dates to Remember under the masthead for more upcoming tours. 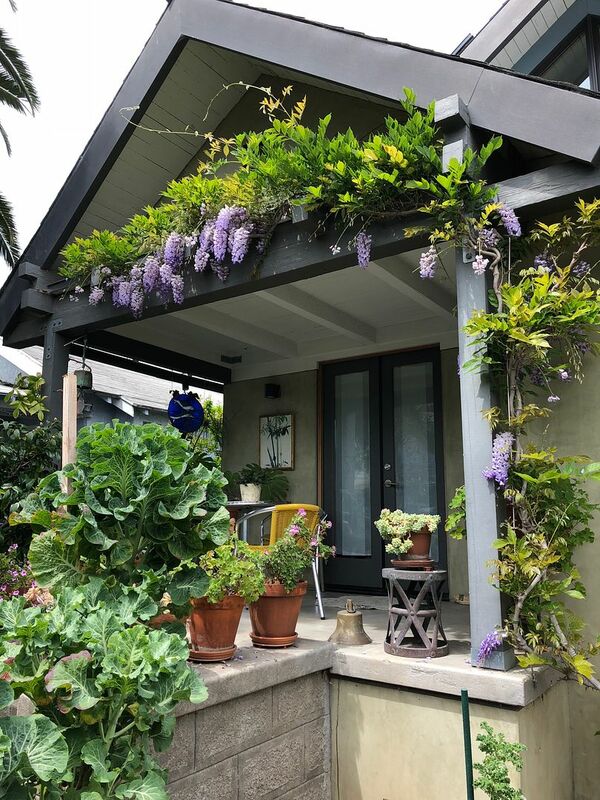 This entry was posted in garden travel, garden visit. Bookmark the permalink. I love the water wheel! I recently heard Ben Dark from the Garden Log podcast describe espaliered ceanothus in an English garden context, and thought it was such a strange application (I often think of it as an untidy habitat plant). So interesting to see it with this formal structure here. I need to crack open my HPSO Open Gardens book and start planning my stops for this summer’s weekends!